Finally caught one over 10 lbs. I finally caught a bass over 10 lbs. She was a Mexican beauty from Lake Comedero. 10 lbs 8 oz to be exact. I caught about 40 bass over 6 lbs with a 8 lbs 2 oz the day before. No better feeling than hearing the guide say grande, grande I get the net. 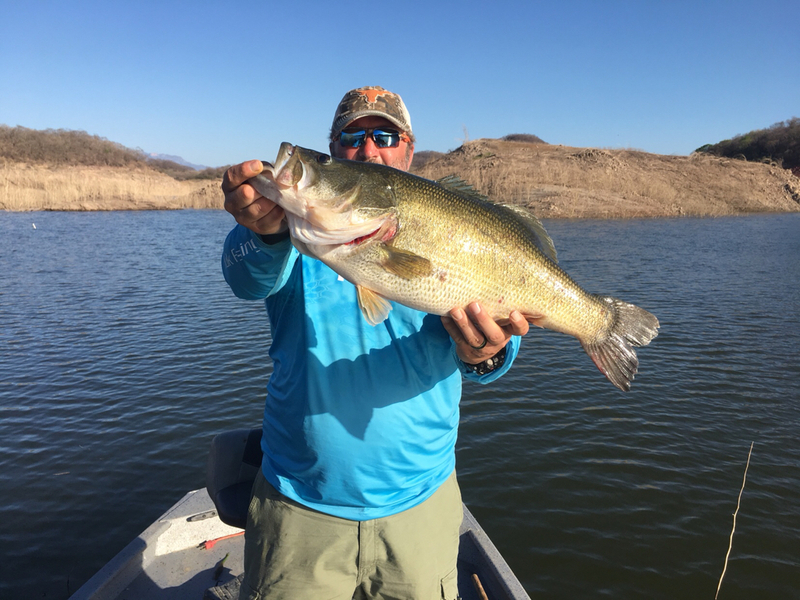 If you want to catch lots of big bass Lake Comedero is the place to go. The only bad thing about it are the no-see-ums that are a million times worse than mosquitoes when they bite you. Congratulations!! I’ve got 2 over ten from El Salto. Those guides know when you set the hook on a big one. Awesome fish!! Looks like an awesome trip. Congrats. Nice fish!!! I've got 4 over 8 lbs but nothing over 10. Good job! Fishing Mexico waters makes it difficult to fish back home. My biggest is 7lbs, 7 ounces. Sounds like that's a dime a dozen down there. Nice fish bud. It's fun fighting them that big. I've been lucky enough to land to 13 plus in my 31 years. Don't know if I'll ever surpass that 13lb mark but will def keep on trying. She's a beauty. Congratulations on getting that fatty in the boat. Might have to look into fishing that lake some day based on your report. That has fun written all over it. OP, can I ask how much a trip like this costs? And what's a good number of people to take for a group trip? Wait, one 13-pound fish or thirteen 10-pound fish? Either way that's impressive! 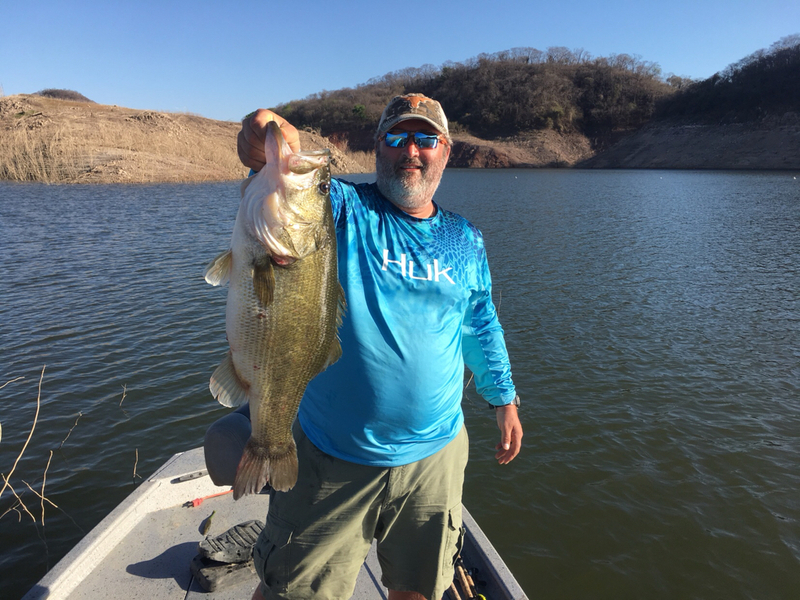 I have fished Mexico several times but it has been quite a few years. I have the hankering to go back. Can you give me a little information about the outfitter you used and any thoughts you may have? Nice! I haven't fished in a couple of years but I never caught one over 8 lbs. Awesome trip looks like congratulations! Yes those no see ums are un real you wake up in the morning and see all those spots on you your thinking dang what did I catch I didn’t even look at any Sinatra’s lol! Heck of a fish. Thats comparable to shooting a 150'' low fence whitetail. Congrats !!!!! Nice fish!!! Personal record , was a 8 Lbs, 4 oz. @ La Presa Del Cuchillo, China N.L. , 6 years ago!!! Nothing like catching that first DD. I have 10-12 DD with the biggest being 12 3/4. Can remember that day like yesterday. Congrats!!! Biggest one I ever put in the boat was a shade under 5 and I thought I had a beast on there. Right up until the next cast. Something grabbed that 12" motor-oil worm I was dragging and just left with it. Got it to the boat and it was a 17lb yellow cat. Still the best fight I ever had while chasing largemouth. This ate a chatterbait Sunday morning. It was a **** show trying to land it by myself. Looks like mr rage tail himself is Fishing with you. Nice! My biggest, if memory serves me correctly, is 7lbs 6oz. It was a really nice dish. I'd fall off the boat of I got one over 10 lbs. Some dudes seem like they catch 'Emma that big on a regular basis. I must be doing something wrong. That’s awesome! I have been bass fishing for a long time and don’t have anything over 7. My personal best is 8 lb 4 oz. Best recent was about this time last year off my kayak 7 lb 1 oz. I've been trying to convince my buddies for the last few years to head to Mexico. I'm hoping to make it down there sooner rather than later. Awesome pics and congrats! I thought we were gonna break the double digits mark last weekend as well.....but ended up a few ounces short!